Publius Licinius Crassus reviews the major part of his army, VII Legio, which has just arrived after a long march from Sri Lanka (the painters!). 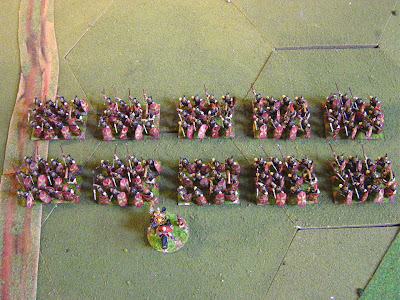 Each cohort is 12 figures making a legion of 120 figures. I think that 12s are the smallest sized cohorts one can do to allow differing formations. They are based in two fours of 40mm x 40mm and two pairs of 40mm x 20mm. 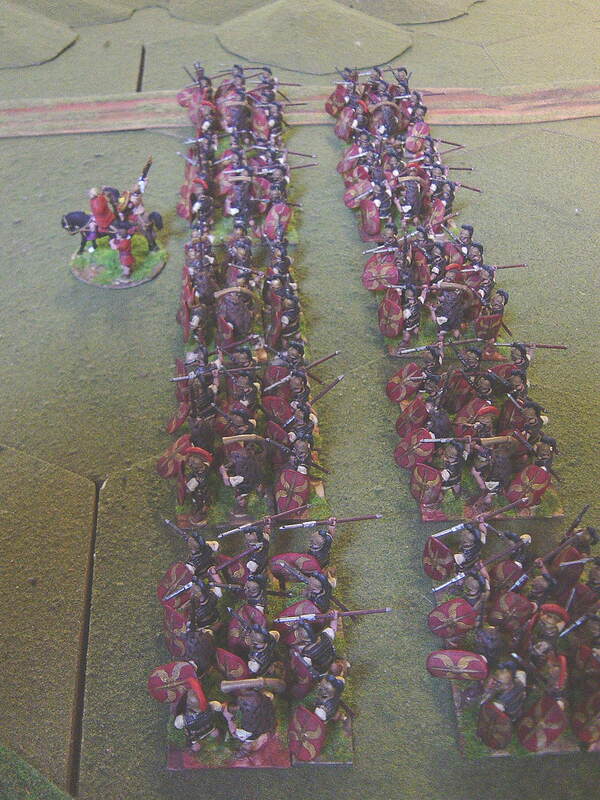 I will be using a set of ancients computer rules (Macedon to Rome by Computer Strategies) for these games so the basing system is my own. For the rest of this month I’ll be painting the Gallic cavalry part of this army plus some skirmishers. 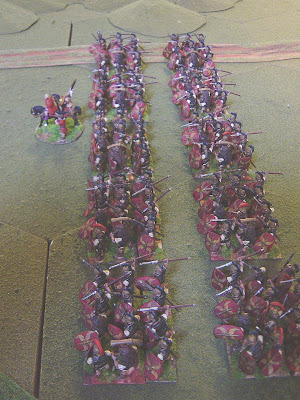 Then it will be on to their opponents and I’m aiming to have these armies ready by the summer of next year. You sure do excellent work.